Toyota Creates a Free Piston Engine With No Crankshaft! 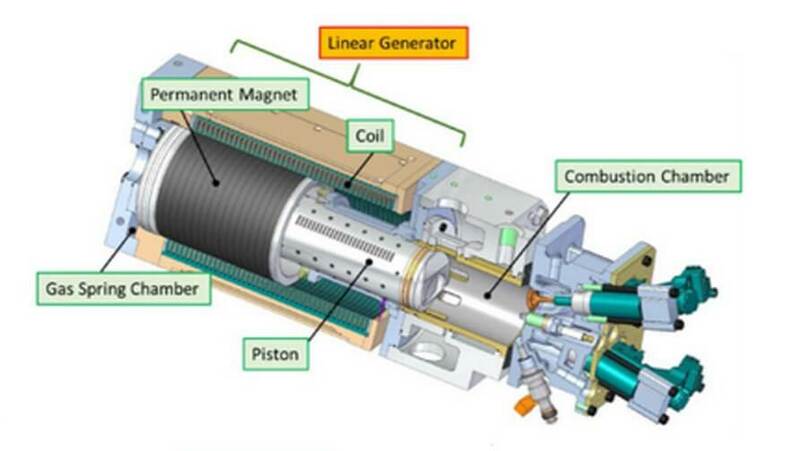 A team at Toyota Central R&D Labs Inc. is developing a prototype 10 kW Free Piston Engine Linear Generator (FPEG) featuring a thin and compact build, high efficiency and high fuel flexibility. Toyota envisions that a pair of such units (20 kW) would enable B/C-segment electric drive vehicles to cruise at 120 km/h (75 mph). The team presented two papers on the state of their work at the recent SAE 2014 World Congress in Detroit.